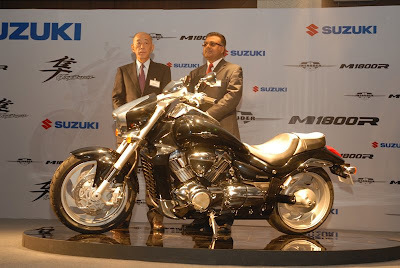 Suzuki Motorcycle India had recently launched 2 of its most sought bikes in India - The Suzuki Hayabusa and the Suzuki Intruder. hese 2 bikes have been launched in 7 cities which are Delhi, Bangalore, Hyderabad, Chennai, Pune, Mumbai and Ahmedabad. The style, the power and the technology of these legendary bikes are just unbelievable. The Suzuki Hayabusa (earlier called GSXR1300 in some markets) has a 1340 cc engine churning out 194 bhp that can propel it to 60 MPH in 2.6 seconds! That’s miles, not kilometers. That would be 96.5 kilometers per hour in 2.6 seconds! Top speed is an electronically restricted 299 kmph. 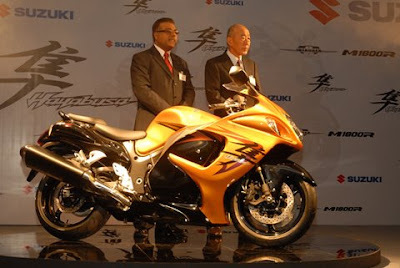 The price for both the Hayabusa and the Intruder M1800R motorcycles in India will be Rs 12.5 lakh.